A natural, intuitive way to streamline your workday. Veterinary software meets modern technology, built from the cloud up. Deeply intuitive design structures your day and your workflow. As the sea turtle is nature’s best navigator, NaVetor helps you find your way. Complete balance of design and intelligence. Easy to use yet fully featured. Creates simplicity out of the complex. Every detail thought through. Not overly engineered. Work quickly and efficiently, with minimal steps. Built with the energy of a small, entrepreneurial company. Backed by the support of a Fortune 500 company. 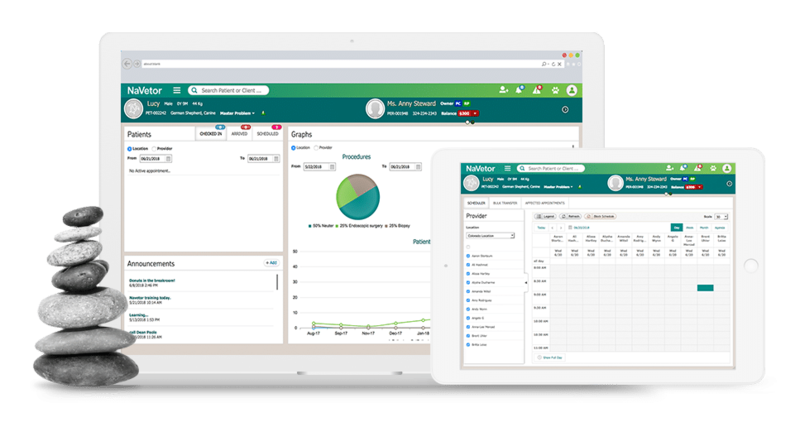 Built from the cloud up, NaVetor is a modern, efficient, beautifully easy veterinary software designed to help you navigate your business. 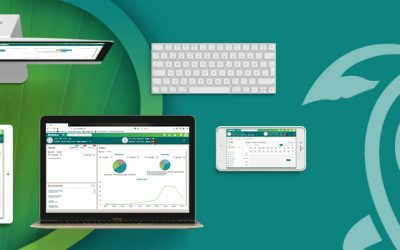 with dashboards that can be customized for each role in your practice, plus whiteboards for both staff and clients. with SOAP entries, treatment plan templates, prescription management, and more. Every client interaction can be documented in the EMR. through inventory management, financial reports, automatic charge capture, and key performance indicators. with efficient workflows plus integrations that you can access without leaving your software. 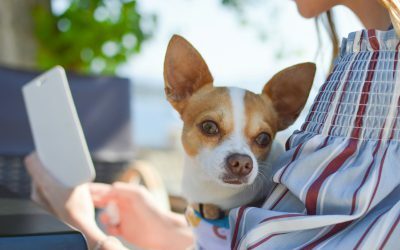 Monthly packages for NaVetor veterinary practice management software include technical support, phone training, data backups, and regular software updates (which happen seamlessly in the background). NaVetor offers packages to fit any veterinary practice. Inspired by what you’ve seen? Interested in seeing how NaVetor can work in your practice? Contact us to set up a personalized demonstration of the software. Or, download the NaVetor brochure. Built by a small, entrepreneurial company. Backed by a Fortune 500 company. NaVetor was created for the veterinary industry by Technology Partner Innovations, LLC, a joint venture between Patterson Veterinary and Cure Partners. To learn more about partnership opportunities with NaVetor, contact our team at partner@navetor.com. See what’s new from NaVetor. The latest software tips, industry trends, and technology best practices. Interested in more information about NaVetor?